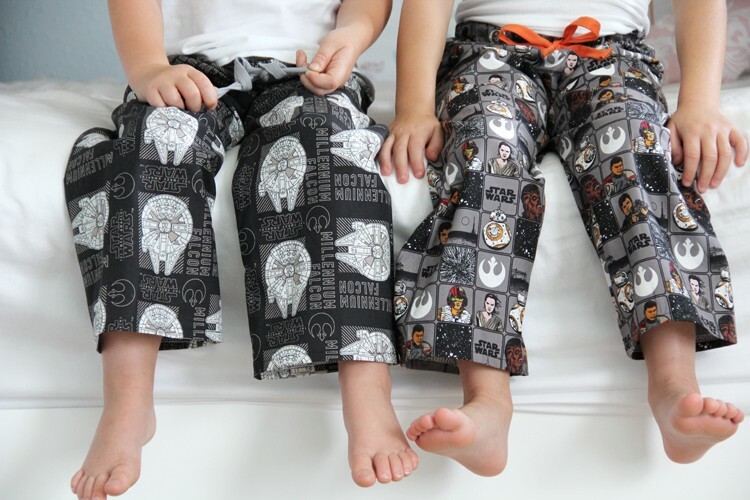 It’s Star Wars week here at the Sewing Rabbit, woo hoo!!! Ee are busy celebrating all things Star Wars, all week long. Because a long time ago in a galaxy far, far away, we all watched Star Wars as kids. And in case you hadn’t noticed, or have been hiding under a rock, Star Wars mania is BACK. It’s everywhere! And we are loving it. With my kids growing like weeds lately, every time I turn around their pants seem to be a couple inches shorter. They have been leaving a clothing trail in their growth wake all Summer long. And this time, its their pajamas. Suddenly, none of their pants fit them anymore. If I wanted his ankles covered this Fall, it was time to replace the bottoms. 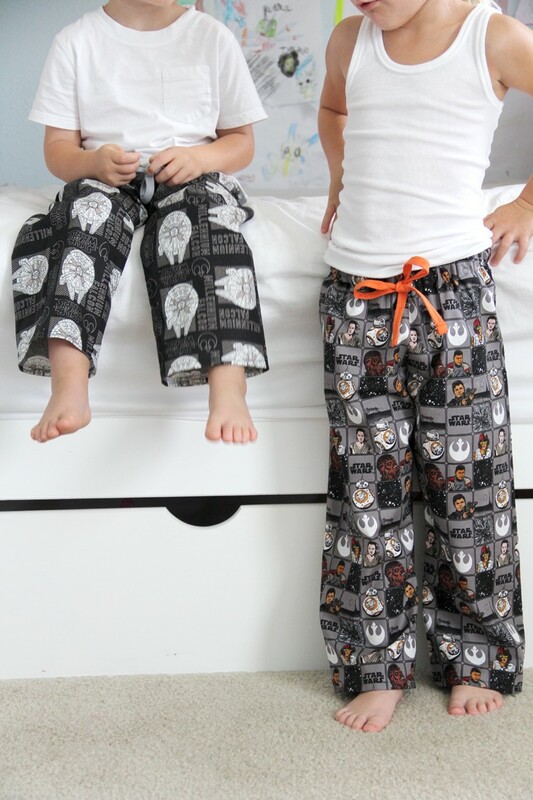 And with the new Star Wars fabric at Jo-Ann Fabric and Craft Stores, it was a no-brainer. 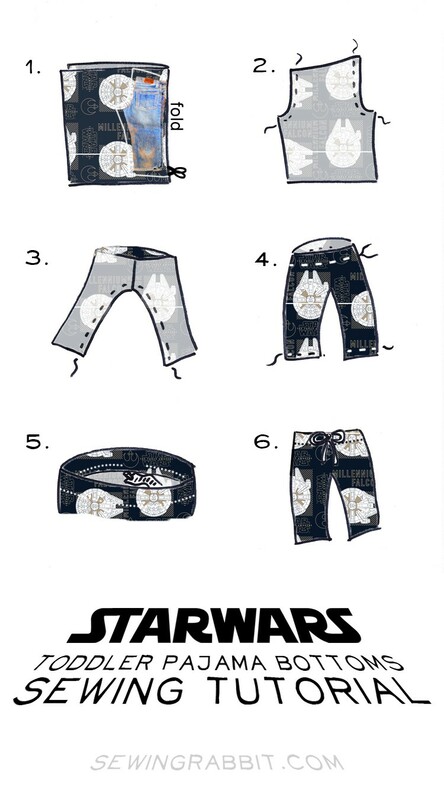 Star Wars Toddler Pajama Pants DIY. 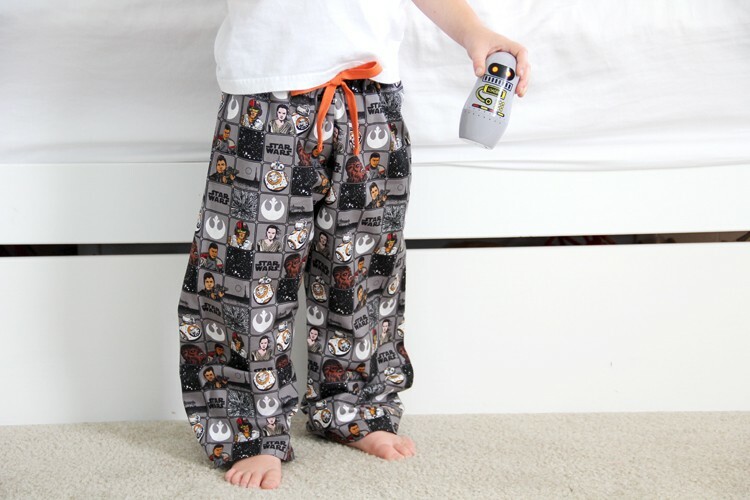 *Please Note: The US Consumer Product Safety Commission (CPSC) has strict requirements for children’s pajamas (and other children’s clothing), and these do not meet their requirements. 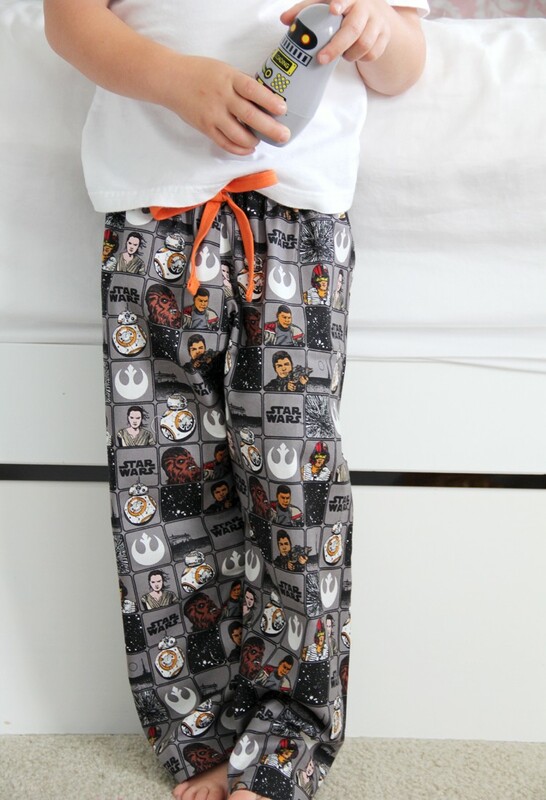 I am fine with them for my own kids for our personal use, but it is against the law to sell these pajama pants in your Etsy shop or other small business. Please make sure you read up on their requirements and decide for yourself. Step One: Place your fabric on the fold. Fold your pants/jeans in half, so that the side of the jeans match up. Lay your jeans side seam along the folded fabric. Cut around jeans, adding 1” around all edges for seam allowance. Cut (2). To reduce fabric usage, try folding the fabric in half again prior to cutting around the pants. Cut on the double fold. This will cut the (2) pants patterns out at once, and use less fabric yardage. Open up the pants pattern, and cut one side of the waistband down to match the front waistband of your jeans. This will give you a clear ‘Front’ and ‘Back’ to the pants pattern piece (the front is always shorter in length than the back). This may seem tricky at first, but once you get used to it you will find that you can make anywhere from 4-6 pajama bottoms per hour using this trick!!! Step Two: Place 2 pattern pieces right sides together and sew front and back crotch curve, using a 1/2 “ seam allowance. 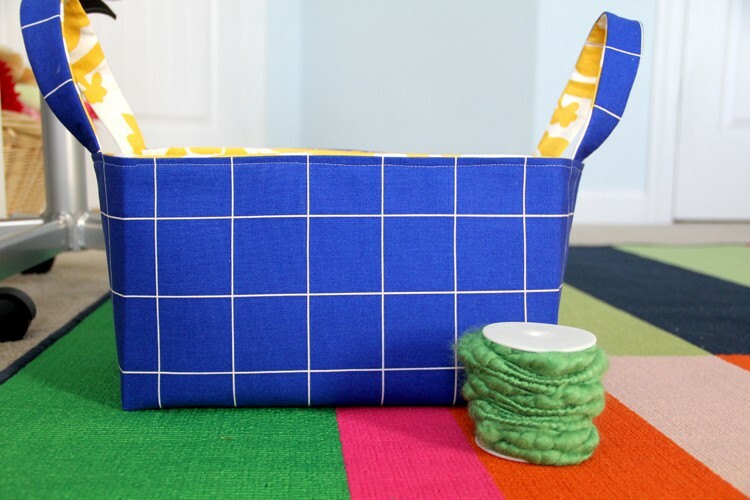 Finish seams with zigzag stitch, pinking shears, or serger. Press. Step Three: Open up the pants, so that the crotch seam is in the middle. Match inner leg raw edges right sides together, pin and sew, using a ½” seam allowance. Finish seams and press. Step Four: Turn pants right side out. 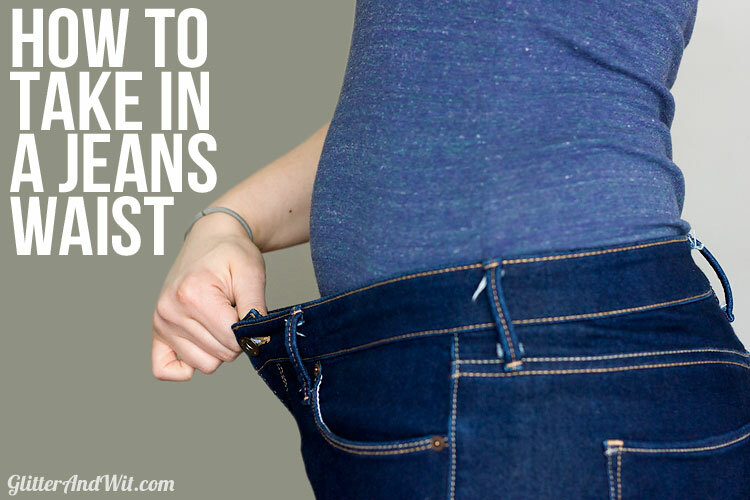 Fold the top of your waistband towards the wrong side ¼” and press. Fold again ¾” towards the wrong side, enclosing the raw edge and press. Pin around and sew the bottom folded waistband edge, leaving a 2” opening. This will create the casing for your waistband. Fold the bottom pants leg ¼” towards the wrong side and press. Fold again ½” towards the wrong side and press. Sew around to hem. Repeat for both legs. Step Five: Measure your child’s waist and cut elastic accordingly. Attach a safety pin to one end of your elastic, and slip elastic into the waistband casing through the opening. Thread the elastic all the way around the waistband, making sure the other end does not slip inside and that the elastic doesn’t twist. Once the elastic is all the way through, remove the safety pin and overlap elastic ends ½”. Sew elastic ends together using a zig zag stitch. Insert elastic fully into the waistband casing, ensuring that it is not twisted anywhere one last time, and finish sewing the elastic waistband opening closed with a straight stitch. Don’t have your child in front of you to measure? Use THIS handy elastic waistband chart if needed. Step Six: Cut a small 12 – 18” piece of twill tape or ribbon and finish the ends with either fray-check, or folding over the ends and sewing a small straight line. Find the very middle of your ribbon, and place directly onto the front seam of your pajama pants waistband. Sew a line back and forth directly over the middle, to give the pants a faux waistband tie. We meet again, at last, Star Wars my old friend. The circle is now complete.